SASFED is a federation body with member organisations making up the independent film and TV Sector of South Africa across the value chain. The below is an alphabetical list of member organisations, which currently include 7 active SASFED member organisations, guilds or associations. Each member is listed with details as provided by the respective organisations on their SASFED application form or by way of an update to us. Postal Address: P.O Box: 120A Runnymead, Chartwell, Johannesburg. 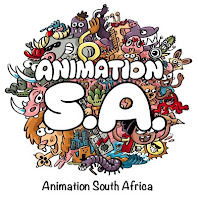 Animation South Africa (A.S.A) is a non-profit organisation mandated by industry to develop and represent South African animation. We were founded in 2006 by a group of like-minded animation industry professionals who came together to create a culture of knowledge-sharing in South African animation. We currently have two chapters, one in Cape Town and one in Johannesburg. 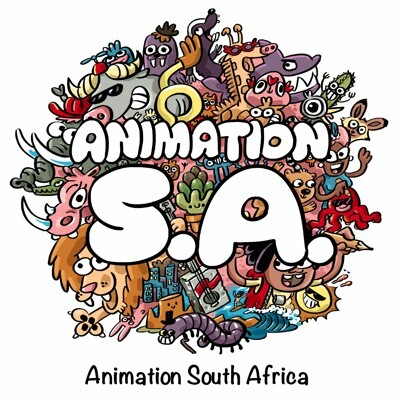 Relaunched in 2015 with a new board of directors elected by our member-base, our vision is to nurture a vibrant, sustainable and transformed Animation and VFX industry for South Africa, offering a diverse range of content and services that is unique and globally competitive. Creating new business opportunities by identifying and coordinating export missions to key markets. Conducting and participating in global market research. Creating knowledge-sharing opportunities to upskill our animation professionals. Helping bring our studios and their original properties to market-readiness. Consulting with government on policy and strategy, building the framework that will enable the animation industry to thrive. The Documentary Filmmakers’ Association (DFA) was established to nurture and develop the interests of documentary filmmakers in South Africa. The documentary film genre is unique in that it can stimulate public discourse, reflect on social, political, cultural and current events in a very immediate way. It can explore history, commemorate heritage and unearth the mysteries of the universe. Documentaries tell stories of ordinary and extraordinary people/communities – they celebrate, question, investigate and reflect. It is the most accessible genre of filmmaking, yet is often marginalised within the bigger environment of film and the broadcast industry. The DFA aims to create a unified voice for documentary filmmakers and gain recognition for this genre of filmmaking in South Africa. The association will address the specific needs of documentary filmmakers and network with related industry bodies, in the interests of documentary filmmakers. In July 2005 documentary filmmakers in Cape Town met at the Encounters Documentary Festival to discuss the formation of a representative body. It was unanimously agreed that there is a need for a documentary filmmakers’ association, and the organisation has registered as an NPO. An interim voluntary committee was set up to draft a mission statement and constitution. Suggestions from this workgroup were used as the basis for discussion at a documentary filmmakers’ meeting in Johannesburg in August, where it was agreed that a national body would be established. A constitution was drafted by an interim board, and the organisation as registered as an NPO (Non Profit Organisation). On 21 April 2007 the DFA held it’s first Annual General Meeting and the constitution was unanimously accepted. The Independent Producers’ Organisation is a voluntary organisation that aims to represent, promote and protect the specific needs of producers. The aims and objectives of the IPO can be summarised as follows: To represent and promote the economic and cultural interests of the South African film, television, and video production industry locally, continentally and abroad. To develop, support and implement growth strategies for the industry to increase local, continental and international markets. To promote the development and establishment of aspirant and emergent producers and production companies. To overcome historical disparities within the industry, based on race, gender, disability and sexual orientation. To promote the industry for the good of the broader South African economy. To promote a stable and viable industrial environment within the industry. To encourage professionalism and high technical and creative standards in the industry. To keep producers at the forefront of technological, economic and cultural changes. To interact with and create negotiating channels and standard agreements with related industry organisations (e.g. actors’ and crew unions, writers’ and musicians’ guilds, broadcasters, distributors, etc.). To regulate relations between members and employees or trade unions. To promote health and safety standards for the industry. To play a key role in education, training and enhancement of skills within the industry. To inform and enlighten non-industry organisations (e.g. educational institutions, government bodies, financial institutions, etc.) about the industry. The Personal Manager's Association is a community of Actors Agents consisting of members; associate and affiliate members. Our goal is to guide actors in their professional careers, uphold the professional standards on behalf of the performers we represent with regards to contracts (and the standardization thereof); fees and working conditions in the areas of film; television; voice; theatre; presenting; commercials; industrial theatre; corporate theatre; etc. SAGA (South African Guild Of Actors) was established to regulate relations between actors and film/television/theatre/radio producers, including any film/television/theatre/radio producers organisations; to perform and protect interests of its members; to plan and organize its administration and lawful activities; to co-operate with or join local or international organisations, where it is in the interests of SAGA to do so; to promote, support or oppose any proposed legislative or other measures affecting the interests of its members; to use every legitimate means to induce actors to become members; to provide legal assistance to members in connection with their contracts with film/television/theatre/radio producers; to encourage the settlement of disputes between members and film/television/theatre producers or organisations of such by conciliation, mediation or arbitration; to organise and represent members of SAGA for the purpose of collective bargaining; to do such lawful things as may appear to be in the interests of SAGA and its members and which are not inconsistent with the objects or any matter specifically provided for in its Constitution; to borrow, invest, lend, subscribe or donate money for the furtherance of the objects of SAGA and to establish educational, social and charitable enterprises for the general welfare and advancement of SAGA members. Sisters Working in Film & Television is a non-profit organisation committed to empowering women working in the industry. SWIFT advocates for gender and race parity, recognising the intersectionality of women's experiences both in front of and behind the camera. In addition to championing equal opportunities for women in a historically male-dominated industry and prioritizing equal opportunities for black women in an historically white dominated sector SWIFT provides professional support and development, mentorship and networking opportunities to its members. United by common cause, SWIFT members work together to promote and enable transformation so that screens in our country may reflect all voices and a true diversity of perspective. The Writers' Guild of South Africa (WGSA) was established on 8 May 2009. It replaces SASWA, the South African Scriptwriters Association, and remains the only association in South Africa with the sole purpose of protecting, empowering and developing performance writers in the local film, television, radio, stage, animation and new media (internet – mobile and digital distribution, and gaming) industries.. The Guild also serves as a Collection Agent for writers’ residuals and manages an affordable local Script Registry. WGSA is an affiliate member of the International Association of Writers Guilds (IAWG).